With summer just around the corner, this simple make-ahead dip will be a great addition to your appetizer arsenal. 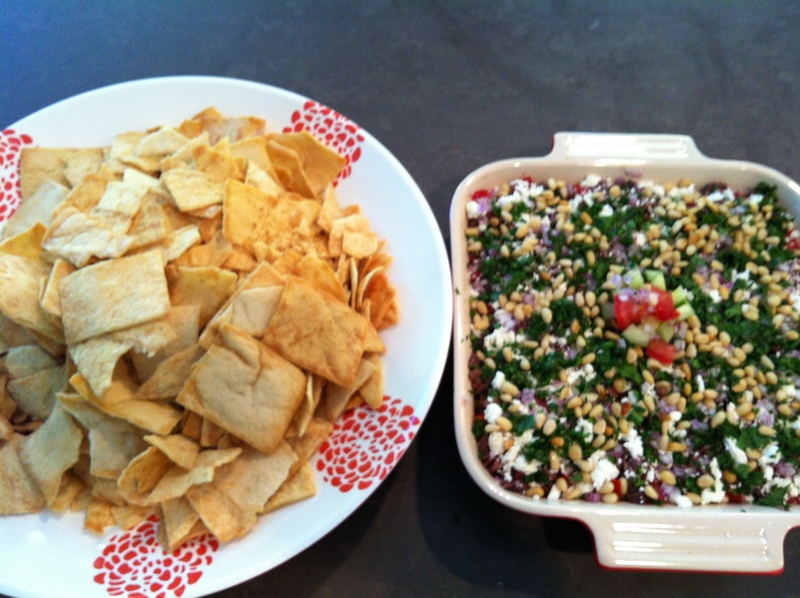 It is the same idea behind your typical Mexican 7 layer dip…only with Mediterranean flavors. 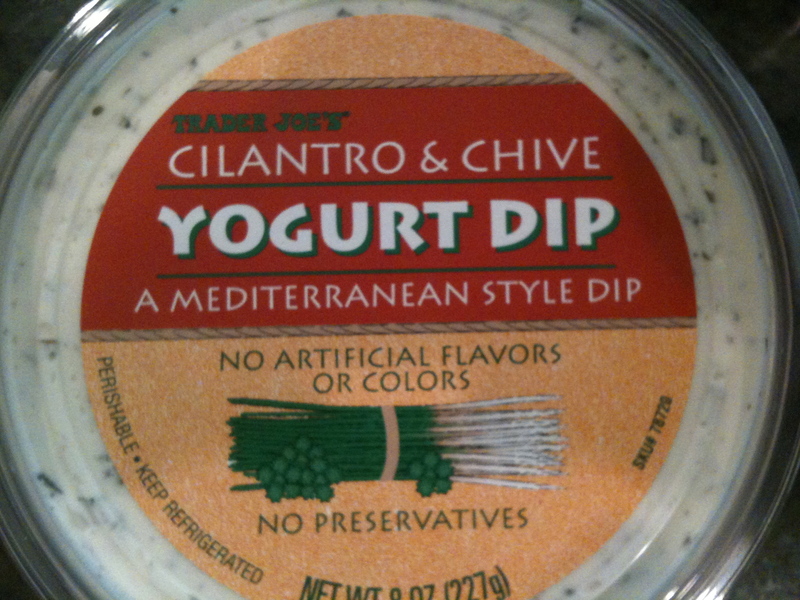 It goes great with pita chips and would also be fabulous spread onto a slices of baguette that have been drizzled with garlic olive oil and toasted a bit. There is a lot going on, but the flavors all work really well together. For those of you that are Trader Joe’s shoppers, you can pretty much get everything you need for this there. I started with a layer of hummus at the bottom of my dish. You can use your favorite store bought hummus or make your own. 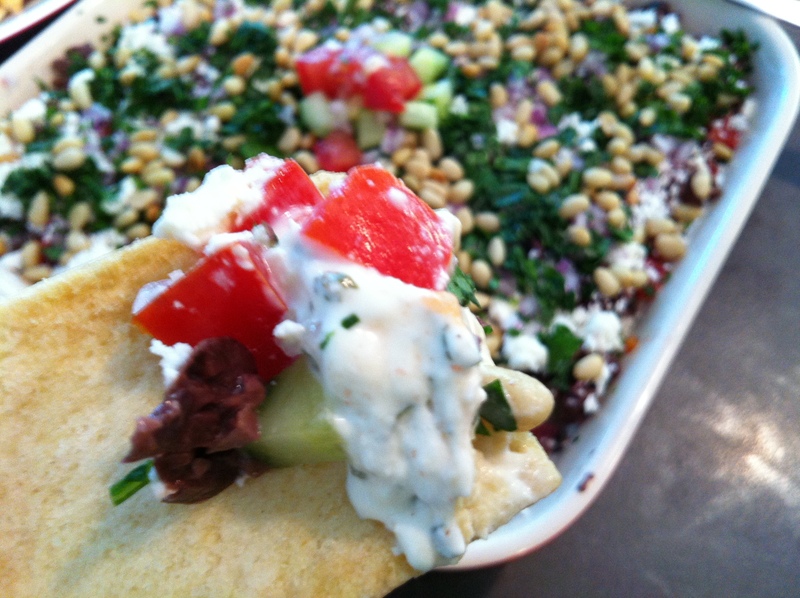 I like to make my own…click here for my hummus recipe. 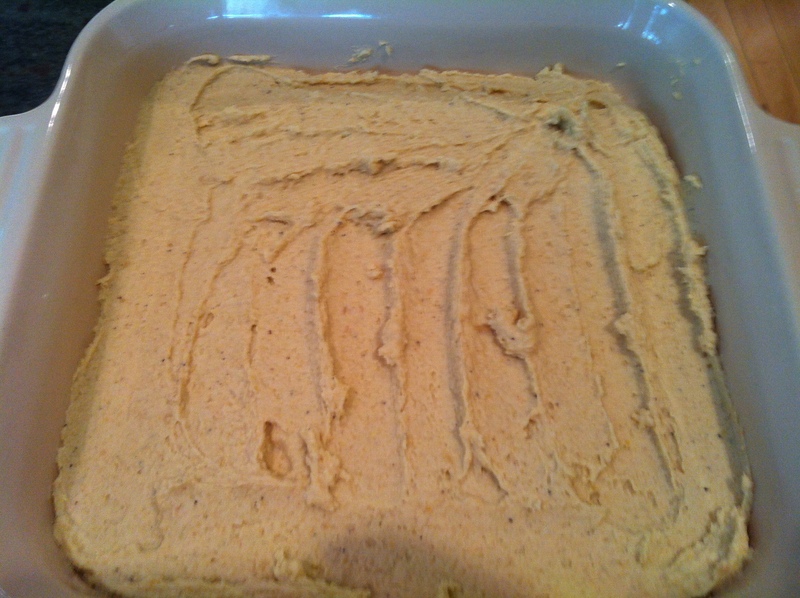 Spread the hummus in an even layer at the bottom of your dish. 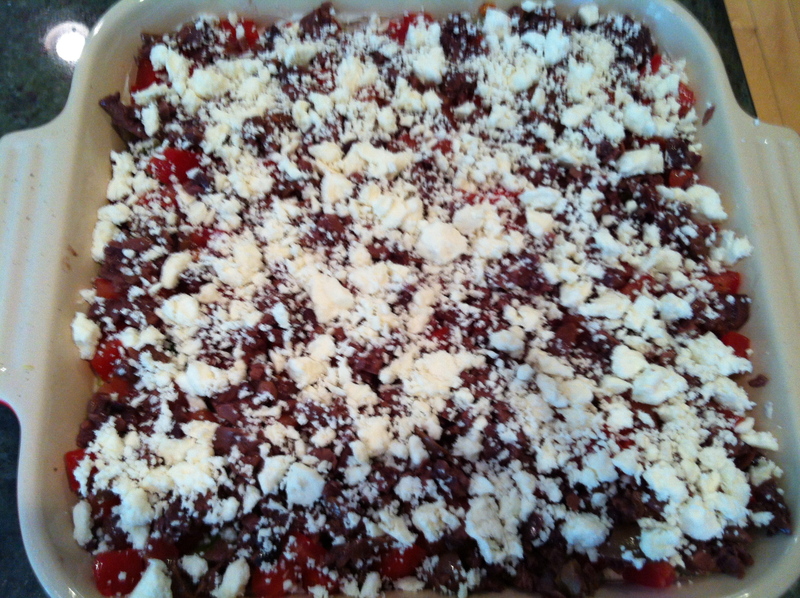 Next, add the layer of yogurt dip or Greek yogurt using the back of a spatula to spread evenly. 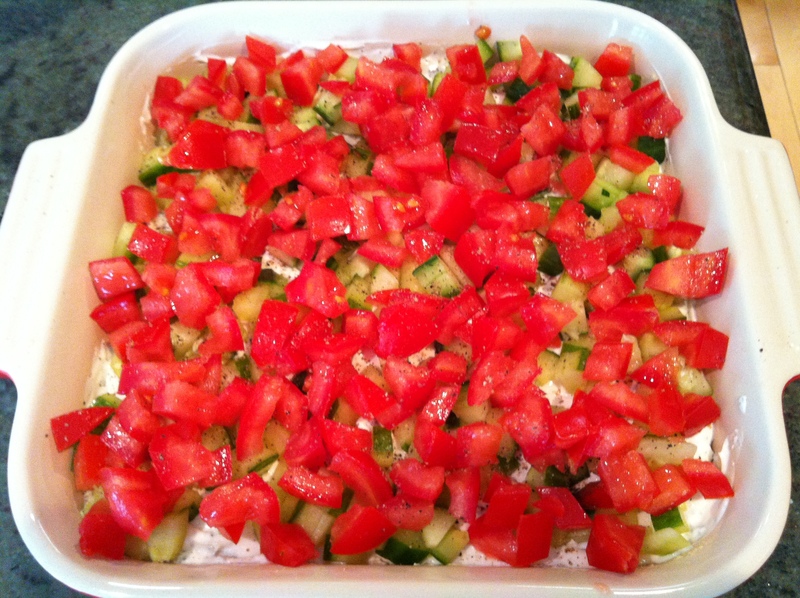 Next, layer the cucumber and tomato, then evenly season with a sprinkle of kosher salt and fresh ground pepper. 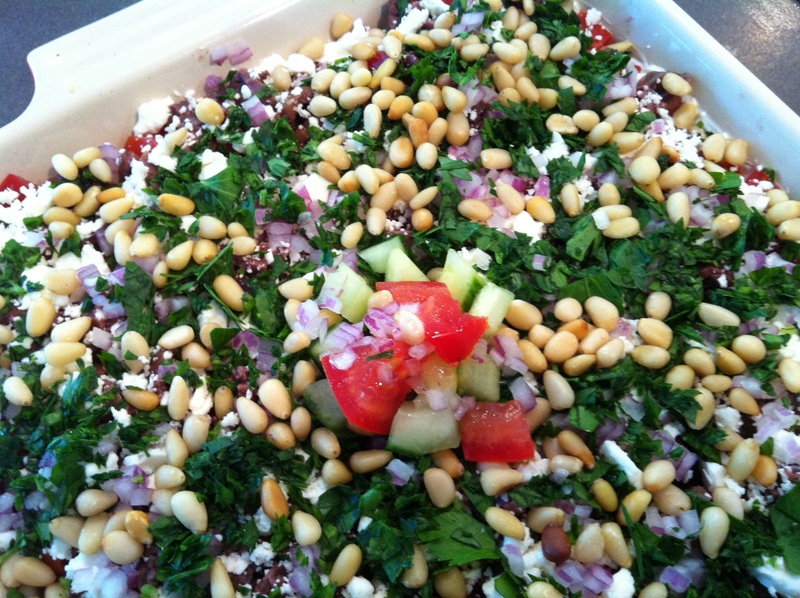 Next, layer on the olives, feta, parsley and pine nuts. If not serving right away, cover and refrigerate until ready to serve. 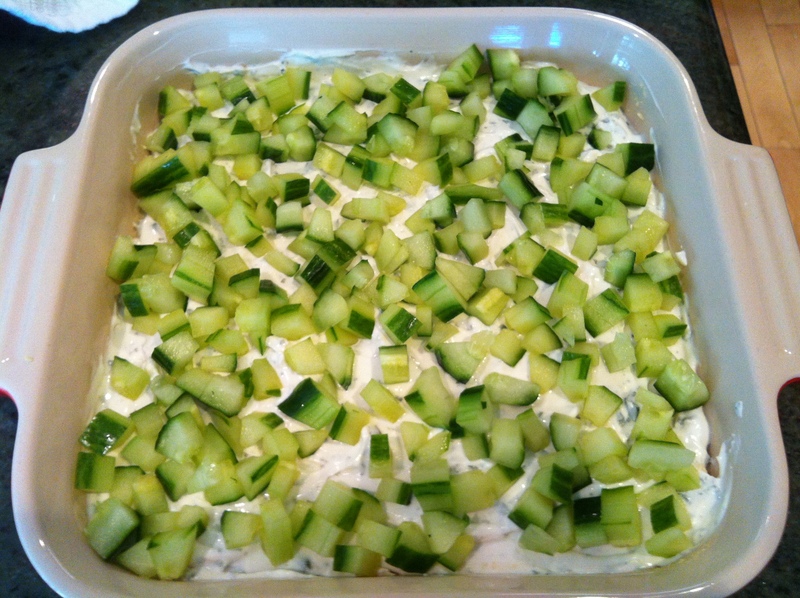 This feeds a crowd, so cut the recipe in half if you want to make a small appetizer.